Is there a difference between Pollution and Contamination? We’ve found that a lot lay-folk out there understand us much better when we call contamination, pollution. I think it is because pollution has a much graver tone to it, referring to something which has a significantly negative impact to the environment. Environmental Pollution, Light Pollution, Sound Pollution, much more used terms than anything with contamination. In short, there is very little difference between Pollution and Contamination, especially in environmental terms. Pollution can be considered to be something which is not welcomed in the environment, e.g. oil from an oil spill, or light from cities (light pollution). Contamination is more often used to refer to a substance which has been introduced to another substance, generally giving an adverse affect. A similar example can be used, water is contaminated with oil from an oil spill, however it doesn’t work the same for light, or sound. 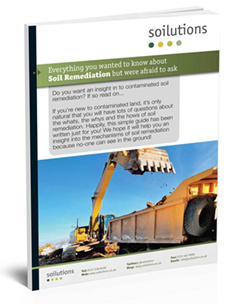 Pollution clean-up / remediation of soils or water would involve exactly the same actions as Contamination clean-up / remediation. For us, which ever word you use makes no real difference. SEPA produced the ‘Water Pollution Arising from Land Containing Chemical Contaminants’ Edition 2, earlier this year, a good use of both words. Hope that clears that up, always happy for feedback so please leave a comment.